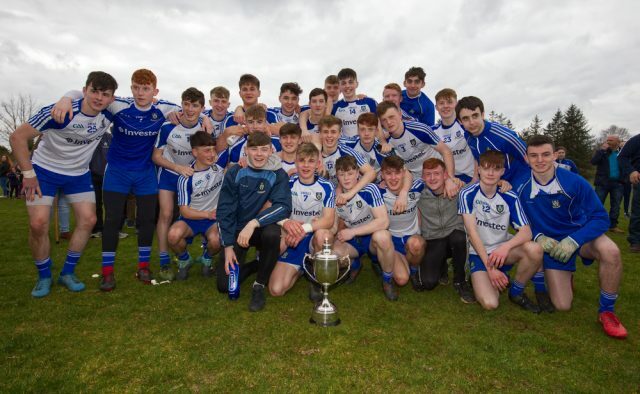 Monaghan’s U17 side turned on the afterburners in the second half to blow Donegal away in the final of the Jim McGuigan Minor (U17) Cup Final in Drumragh on Saturday. 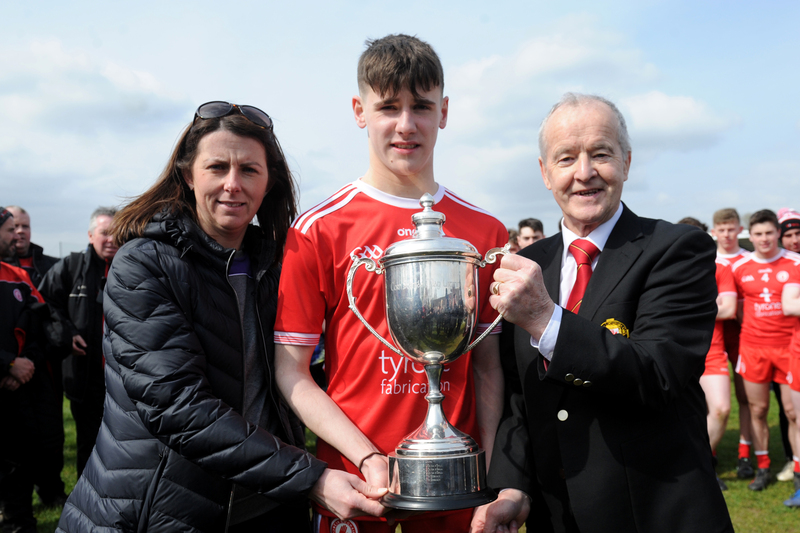 Played in perfect conditions and at a very high tempo at the Tyrone venue, a goal in each half from Jason Irwin and Loughlin Power helped secure victory in a fine display by the Farneymen. The match started off so differently however when, playing with a strong breeze in the first half, Donegal opened up a 7-2 lead after 13 minutes, thanks in part to three points from Leo Dunphy and two from Eric Carr. However, Monaghan got the break they needed a minute later when Jason Irwin latched on to a loose ball along the ground and rifled home from close range to leave two points between the teams. The sides were level two minutes later before a Shane O’Donnell free put Donegal 0-8 to 1-4 ahead after 18 minutes. Monaghan then scored five of the next six points, including two from Sean Jones, to leave them 1-9 to 0-9 clear at half time. Playing with the wind in the second half, Monaghan made that advantage count immediately on the resumption when they scored their second goal. A long kick-pass from Jordan McGarrell was beautifully caught by Loughlin Power in the square. He then turned and fired a low shot past Donegal keeper Corey Byrne to leave Monaghan 2-9 to 0-9 ahead after 31 minutes. The Farneymen then kicked the next five points unanswered, with three contributions from Sean Jones, another from Jason Irwin and an Aaron Mulligan free. Donegal stopped the rot though, thanks to a point from Eric Carr. They then struck for a goal through substitute Dylan Doogan, and with the gap now reduced to eight points with 18 minutes to play, a comeback looked to be on the cards. Monaghan didn’t entertain that possibility however, and when Sean Jones added a brace of points along with a white flag by Karl Gallagher, Seamus McEnaney’s men looked to have weathered the storm. With the score now 2-18 to 1-12, Monaghan were able to see out the game in the last 10 minutes. Three points from Robbie Hanratty, Sean Jones and Michael Meehan wrapped up a fine display and a 12 point win, 2-21 to 1-12. Afterwards, the Jim McGuigan Memorial Cup was presented to Monaghan’s joint captains Breandán Óg O’Dufaigh and Jordan McGarrell. 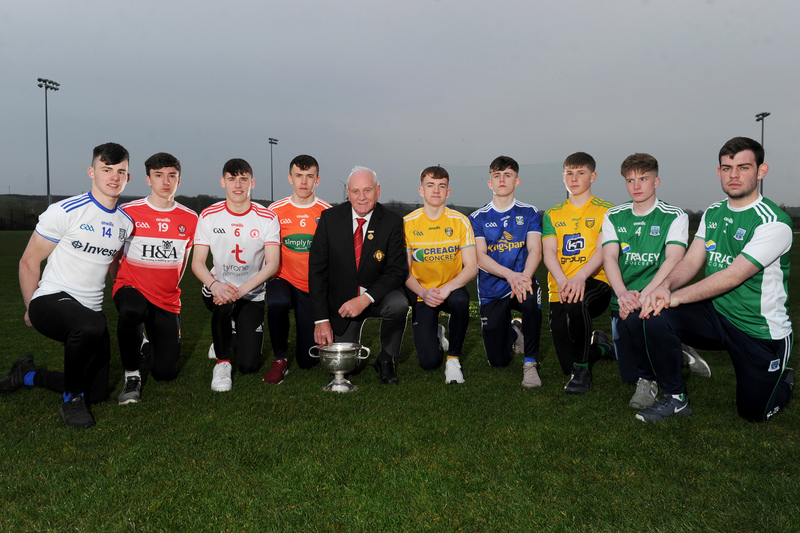 The team now face a preliminary round Ulster U17 Football Championship clash with Derry at 6pm in Celtic Park next Saturday evening. Monaghan: R McNulty, J McGeown, J Doogan, S Hanratty, C Flood, B O’Dufaigh, J McGarrell 0-1, A Moore, J Wilson, A Mulligan 0-4 (2f), S Jones 0-7 (2f), K Gallagher 0-3, D Swinburne, L Power 1-0, J Irwin 1-4. Subs: M Meehan 0-1 for J Mc Geown, R Hanratty 0-1 (f) for J Wilson, O O’Hanlon for A Mulligan, M Mooney for J Doogan, R McKeown for J Irwin, L McCabe for K Gallagher. 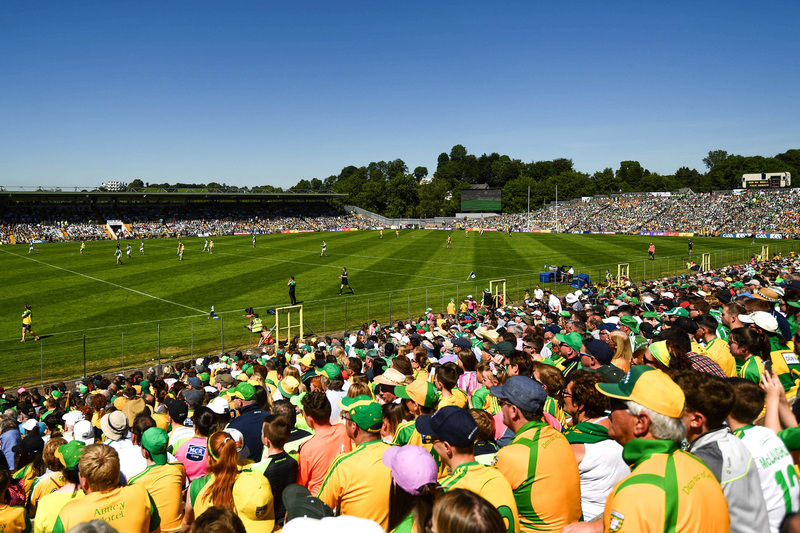 Donegal: C Byrne, A Gilhooley, C Gildea, C Gallagher, E Carr 0-3, S Gillespie, J Grant, M Coughlan, R O’Donnell, S O’Donnell 0-3 (2f), A Doherty, S McFadden, S Rooney, N Byrne 0-1, L Dunphy 0-4. Subs: J Toye for S McFadden, D Doogan 1-1 for J Grant, C Breslin for M Coughlan, Josh Conlon for Leo Dunphy, S Og Byrne for S Rooney. Referee: M Moore (Down).